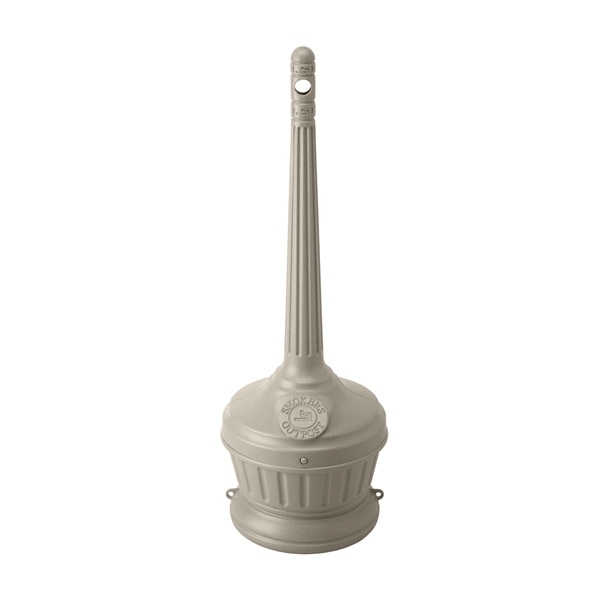 Patio Smokers Outpost outdoor cigarette ashtray is made of high density polyethylene. 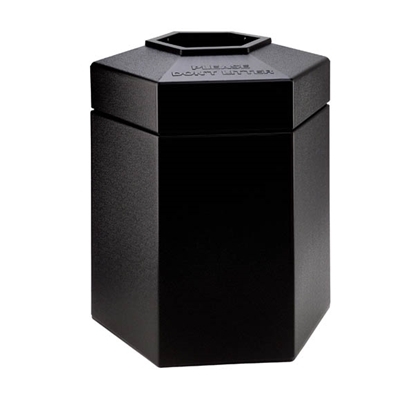 This commercial grade cigarette receptacle keeps your facility free of unwanted cigarette butts. The circular opening is convenient to use without touching the unit and keeps waste in and the weather out. Extinguishes cigarettes quickly using oxygen restricting technology meaning no sand or water needed.